Thursday again! :) I'm super excited about this guest post because now is officially the love month. What are you guys preparing for V-day? do you celebrate? 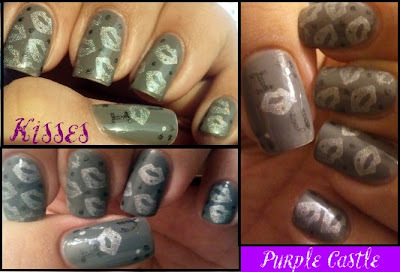 For today's guest post I have a stamped manicure. :) Thank you Esme for letting me over for the 5th time. Don't forget to enter our giveaways. Enter Esme's by clicking here and mine by clicking here. :) Who doesn't love giveaways?